07 MarThe highly decorated musician, composer and conductor André Previn is dead. 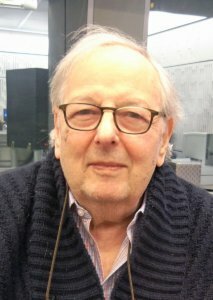 The German-American musician André Previn died at the age of 89. André Previn was one of the most important conductors of the Vienna Philharmonic – but he was an extraordinary multi-talent, world-famous as an entertainer, jazz and film musician. The London Symphony Orchestra was deeply shocked by the death of the musician. Previn was awarded four Oscars, ten Grammys and the Kennedy Prize for his life’s work. After the family arrived in the USA via Paris, Previn soon discovered his musical talent. At the age of 15 he gave his first jazz concert in the Los Angeles Philharmonic and soon became one of the most sought-after jazz pianists of his time in America. He regularly appeared on stage with such greats as Benny Goodman, Dizzy Gillespie, Benny Carter and Billie Holiday. In the 1940’s Previn got a contract as a Hollywood musician at Studio Metro Goldwyn Meyer. He wrote the first film music for an episode of the series “Lassie”. For the movies “Gigi”, “My Fair Lady”, “Porgy and Bess” as well as “Irma la Douce” he won an Oscar for the best film music. Despite the success he turned his back on the dream factory after 16 years and dedicated his talent to classical music. He learned conducting, took over the Houston Symphony Orchestra in 1967 and after only three years as successor to Claudio Abbado was appointed chief conductor and music director of the London Symphony Orchestra. This was followed by collaborations with virtually every major orchestra in the world. He was also regarded as one of the world’s most important contemporary composers. In addition to his Grammys, in 2011 he was awarded the Grand Cross of Merit with Star, one of the highest German orders.